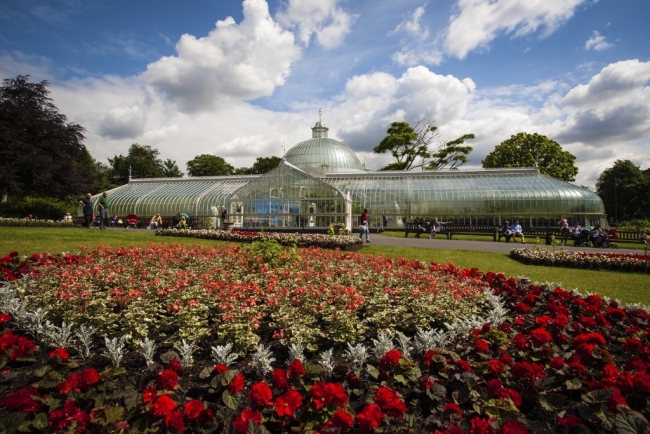 Glasgow Botanic Gardens, located in the West End of Glasgow and managed by Glasgow City Council is arguably the finest Garden in Glasgow, and is dominated by the recently restored Kibble Palace. The Kibble Palace. a magnificent Curvilinular Glasshouse designed by John Kibble (full details elsewhere in this site) houses the National collection of tree ferns. Further details of the plant collections in the Gardens can be found under Plant Collections.